Do you remember when FT Island and SHINee performed their songs on M Countdown? 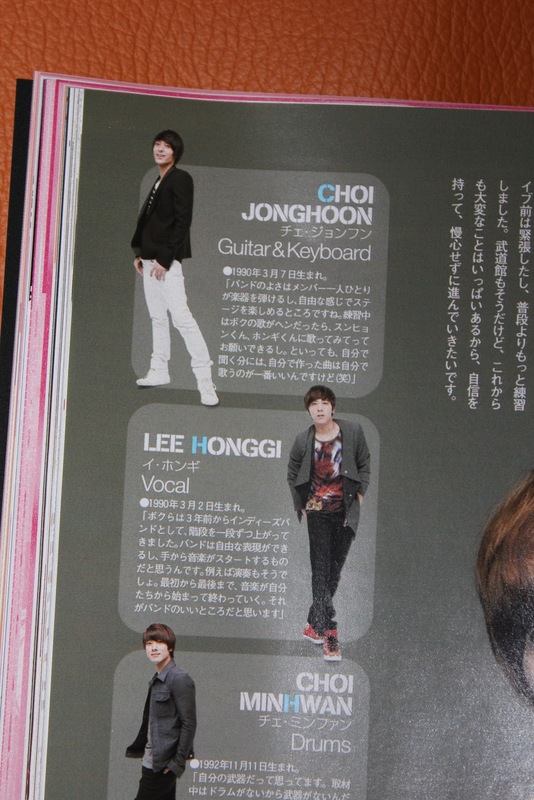 FT Island performed their song FT and Lee Hongki's voice is so rough and sweet at the same time. It was a great show. 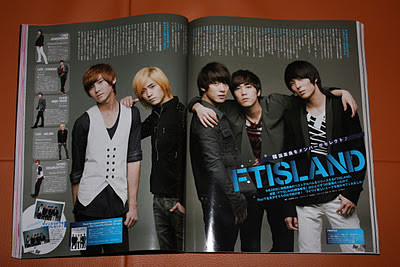 That seems like so long ago compared to FT Island's latest MV! 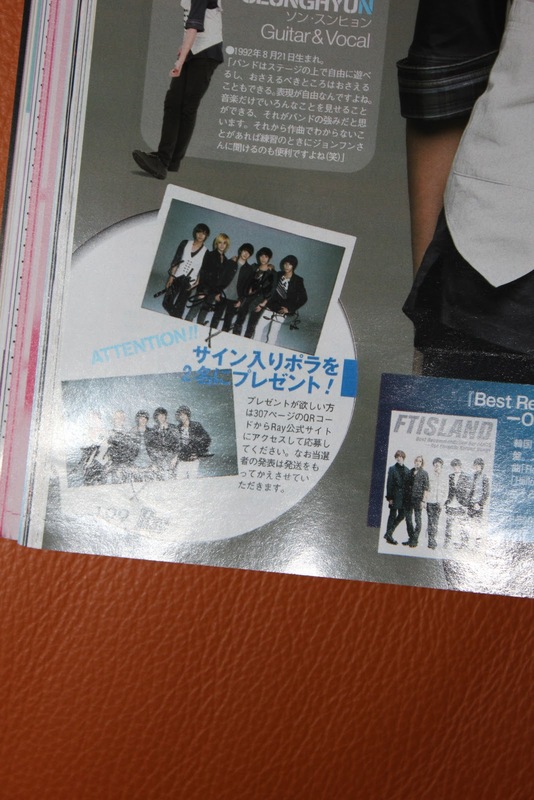 The November issue of Ray Magazine, available now, has a spread with FT Island! 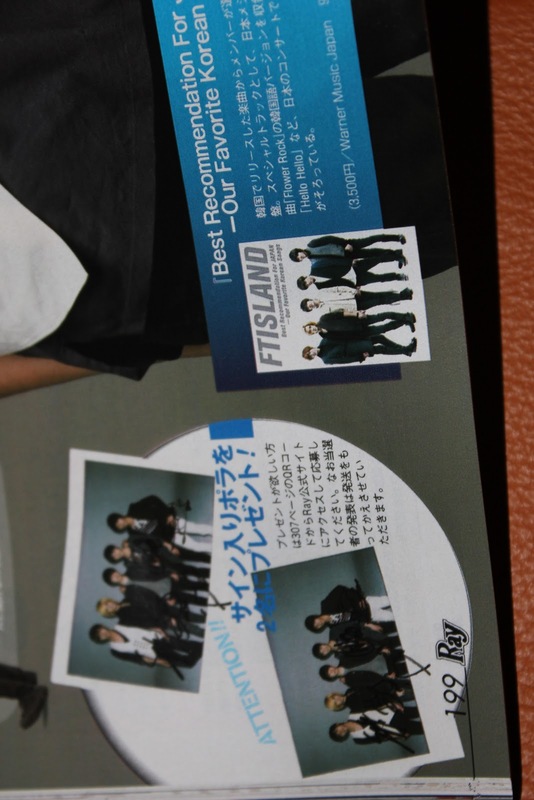 I can't read Japanese well, but in the issue FT Island recommends some songs to their fans and generally acts like their typical lovable selves. 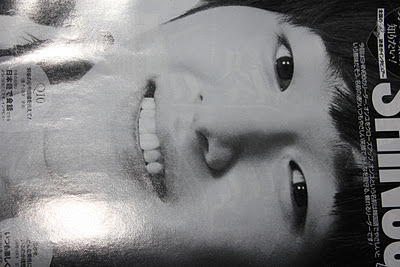 Can I get it (CIGI)? Yes! 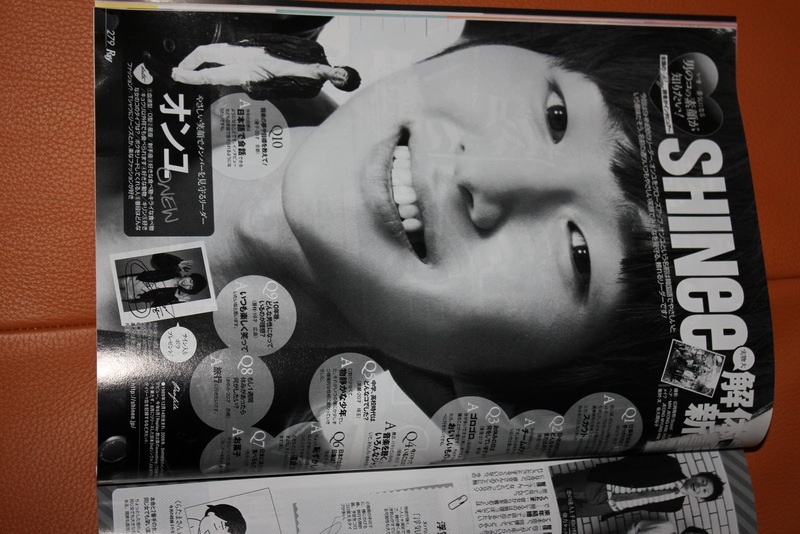 Get your copy of Ray Magazine online for 14.50USD. Shipping within the US is approximately 5USD. 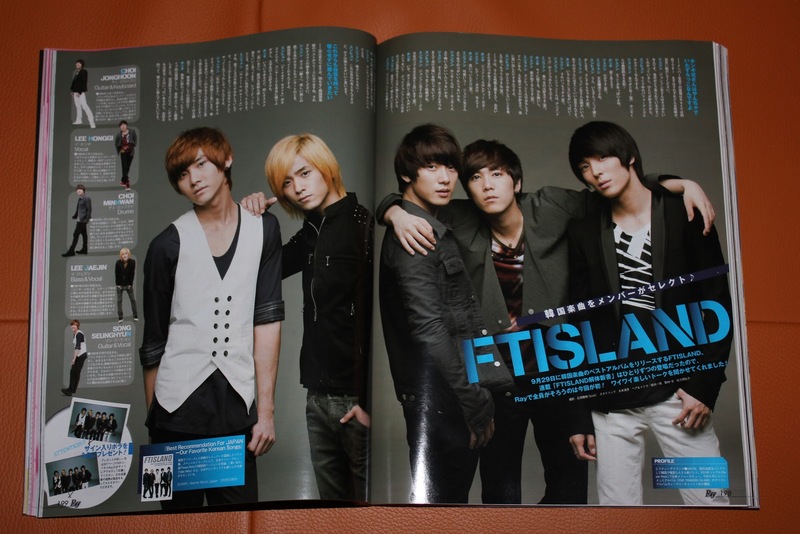 I bought my copy in NYC at Kinokuniya on 41st Street and 6th Avenue (near Times Square) for 17.50USD. This issue of Ray provided great tips for fall fashion, including tips for purchasing outfits for the fall such as a signature bag. 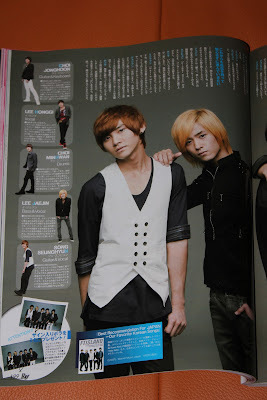 There were also articles with great pictures that described how to recreate the best hairstyles for fall. I actually found some great tips and pieces that I plan to include in my wardrobe for the fall - 1.) A chunky cable knit sweater, 2.) A flowery print dress or skirt, 3.) 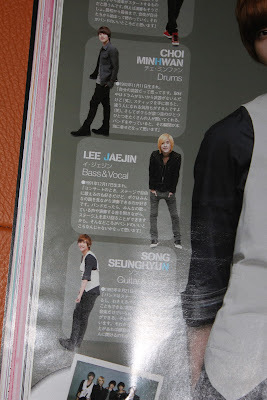 A leather jacket, 4.) 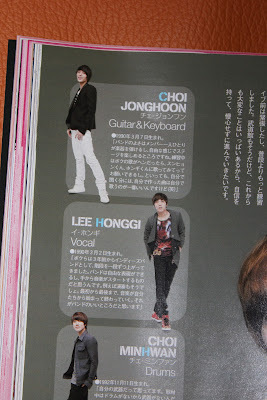 High heeled loafers, and 5.) A brightly colored leather bag with a large hardware closure. 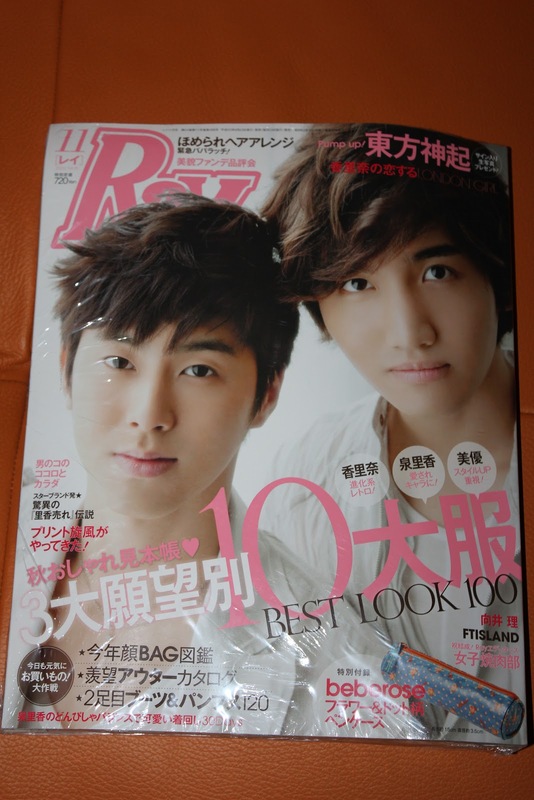 By the way, TVXQ was on the cover of this particular issue of Ray Magazine and there are several pages of TVXQ pictures in the magazine -- I plan to post about those after I stop spazzing... I've included a teaser below. 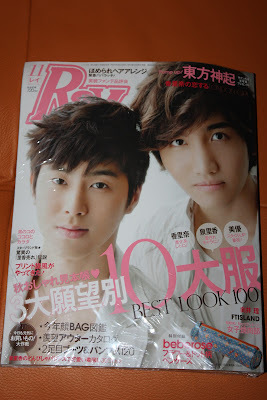 The magazine also came with a free gift - a cosmetics case from beberose. It's cute, but I wouldn't have paid for it separately had I seen it on the shelf. Nothing special. 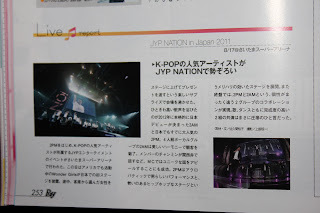 There was also a page that discussed the recent JYP Nation concert in Japan. 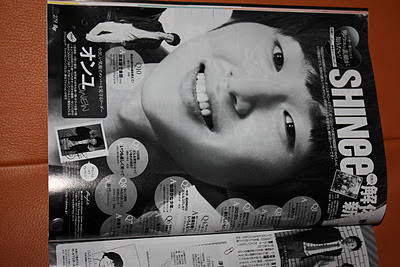 Last interesting K-Pop reference was a page about SHINee's Onew that was made by a SHAWOL (very cute). Ray has a section in the last few pages of the magazine where reader-generated pages are integrated into the magazine. They even provide instructions for submitting a reader-generated page. Very good idea. Funny Flashback: Also remember when FT Island was featured on SHINee's Flower Boys Generation? 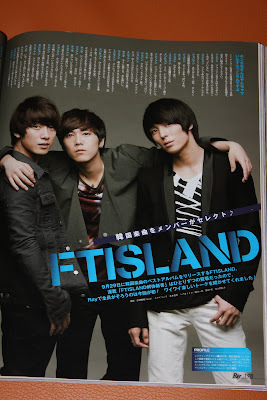 They were so adorable! And so funny. 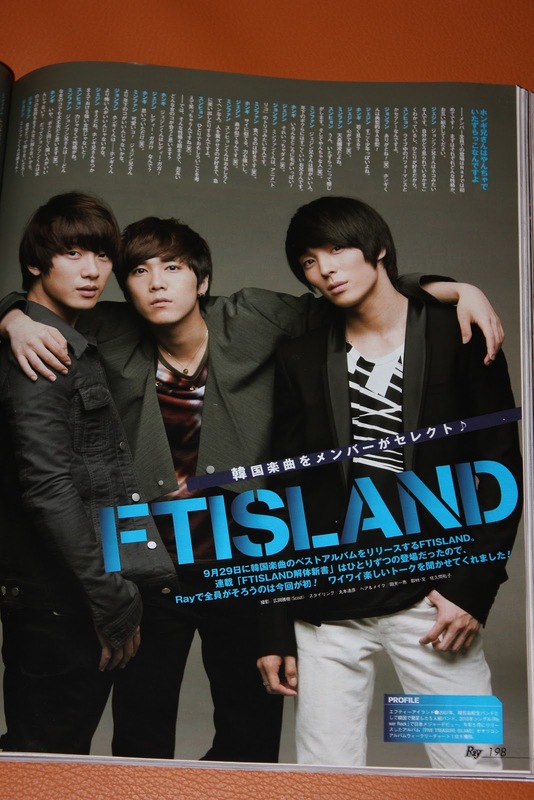 (Of course you get to see Key dancing his girl group dances and FT Island's Jonghoon joins in!) 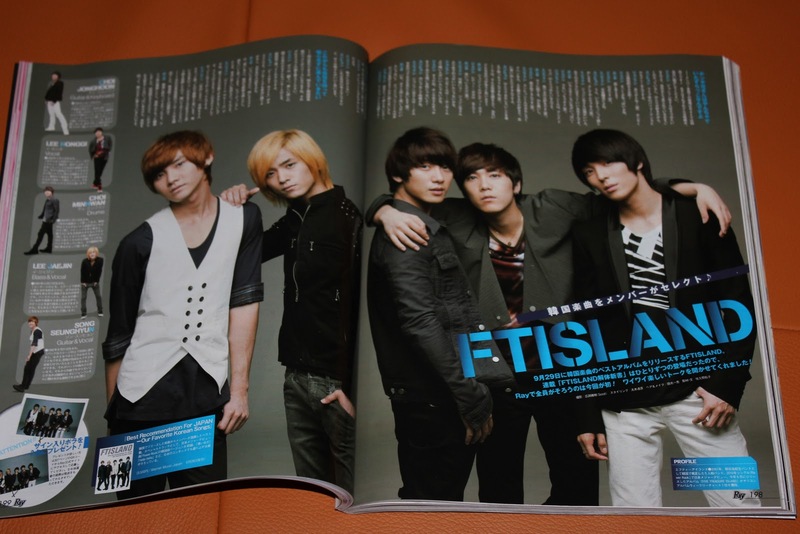 Key's suspenders though and Jaejin's 'shroom, aish. I love them both, which is why I'm not even going to go there.